Jean Patricia Moore Cooper of Ketchum, Idaho, formerly of Darien and New York City, died Monday, March 13. She was 89. Jean Cooper, 89, passed away on March 13. Jean was born to Gladys DeCordova Moore and Harrison B. Moore, III in New York City on Nov. 17, 1927. Jean graduated from St. Ann’s School of Charlottesville, Va. and Barnard College. She studied at Columbia School of Architecture and received a certificate from L’Ecole Superieure des Arts Modernes in Paris. After a year in Paris, Jean returned to her beloved New York and spent several years working with The Illustrators Group, a commercial art agency. She established Peyraud-Moore, a New York City firm specializing in television story board sketches, magazine illustrations and other commercial art. After the birth of their two sons, Jean and her husband ,Drury W. Cooper, III, moved to Darien to raise their family. In Connecticut, Jean embarked on a new venture, Jean Moore Cooper Interiors. She partnered with her best friend Judith S. Beavers MacEwan to form Cooper-Beavers Interiors. Many homes in the Darien area were graced with Jean and Judy’s thoughtful touches. Jean was admitted membership in the International Society of Interior Designers. Jean and Drury retired to Sun Valley, Idaho where Jean flourished in the beautiful life of the West. Never one to sit dormant, Jean immediately returned to work re-establishing Jean Moore Cooper Interiors. Until this day, Jean enjoyed working with a small group of clients. 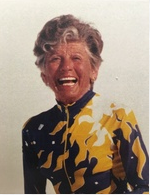 Jean was a member of Ketchum Sun Valley Historical Society, Interior Designers of Idaho and International Interior Design Association. Jean was a well known athlete in the Wood River Valley constantly challenging not only her own limits but the resolve and fortitude of others. Jean’s favorite sports were nordic skiing and cycling. She was an iconic member of VAMPS, the local biking and cross country ski group. Jean’s fierce determination inspired many including those who were decades her junior. Jean shared her love of gardening with the Sun Valley Garden Club and the Sawtooth Botanical Garden. Jean was also an avid volunteer for the Special Olympics. Above all, Jean was selfless. Her passion was her family. Jean loved her husband and sons dearly. Jean and Drury supported each other’s interests and those of their extended family, especially their grandchildren’s. For much of their life together, Jean and Drury enjoyed travel to Europe and Africa always spending time in London. Jean loved telling stories of her early years with Coop, usually accompanied by a glint in her eyes. We bid a sad farewell to Jean. She will be dearly missed. Godspeed Jean. In addition to Drury, her loving and devoted husband of almost 60 years, Jean leaves behind her two sons, Gordon W. Cooper (and his wife, Jennifer) of Natick, Mass. and Douglas D. Cooper of Bozeman, Mont. ; and four grandchildren who adored her, Haley W. Cooper and Taylor D. Cooper of Hailey, Idaho and Charles C. Cooper and Theodore T. Cooper of Natick, Mass. Jean also leaves Susan Cooper Albright of Hailey, her brothers Arthur Harrison Moore of Sarasota, Fl. and John Winship Howard of Charlottesville, Va. In lieu of flowers, please consider a gift to The Sun Valley Garden Club, The Sawtooth Botanical Gardens, Barnard College, or Blaine County Recreation District (BCRD) for Galena Lodge and the NVT. Jean’s funeral was held March 20 at St. Thomas Episcopal Church in Sun Valley. Please visit the funeral home website for complete details and to share a message or photo.